Saleen has been spilling information about their new "value-oriented" line of performance kits. However, the official word came on the 4th of July in the form of a press release that outlined the new line as well as the first product from the new brand. 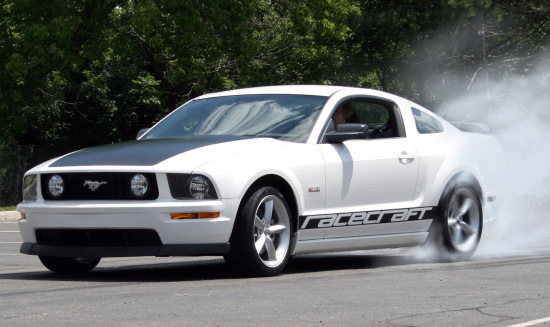 "Racecraft" is the name of the new division and according to Saleen, their first product is going to be the 420S performance Mustang. A supercharger will be added to the Racecraft 4.6 liter V8 under the hood as well as a few more upgraded goodies. All told, 420 horsepower will make it to the rear wheels. The kit will also feature an upgraded suspension for better cornering, lightweight wheels, exterior decals and some trim for the interior. Pricing is right at the $40,000 mark. If that isn't enough, you can purchase a 475 horsepower upgrade kit from the Saleen Racelab catalogue for just under $1000. The upgrade kit won't void the factory 3 year/36,000 mile warranty and will put you very close to the GT500 for almost $5,000 less. It is also just over 300lbs lighter at the curb. The Racecraft brand was put together for one purpose. It will offer high performance vehicles without all the frills and fancy chrome that usually launch the price sky-high. 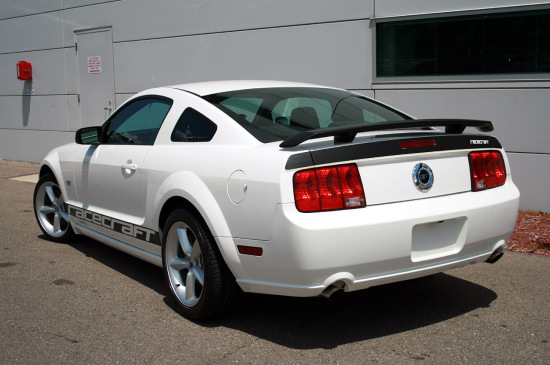 It will also work hand-in-hand with Racelab performance parts, owned by Saleen, to offer even more customization and room for upgrades. The first 420S will be unveiled at Mustang Week in Myrtle Beach in South Carolina. The gathering of Ford's famous pony car starts on the 26th of this month. There is a rumor floating around that Saleen representatives will be offering some demo rides to a handful of lucky bystanders. Saleen has also promised that more performance vehicles will be available soon with estimates putting a release date as early as October of this year. Guess we can add another Mustang to the already growing number.